Utah is well known for having the Greatest Snow on Earth�, and the three ski resorts in the Ogden Valley offer a diverse trifecta of options to enjoy amidst annual snow totals averaging 400+ inches, all within about an hours drive from Salt Lake City�s international airport. You�ll find far less crowded slopes than the Cottonwoods or Park City resorts, and at more affordable pricing. 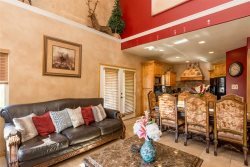 Here, you�ll enjoy a rural setting so rare in today�s mega resorts, with most lodging being in condominiums and vacation homes as well as a few small B&B�s. is a low-key, no frills, and kick-back kind of mountain, with over 8,000 acres of terrain, 3,000 of which is in-bounds backcountry terrain, quite unusual these days. If you do choose a groomer, the soft quality of the snow is untarnished with man made, sometimes ice-forming chemicals. They offer up several one-of-a-kind experiences and nary a lift line in sight. There�s Powder Country, where you ski and board the steeps and trees down to the access road, where a a shuttle bus transports you back to the lifts. They�ve got a snowcat servicing Lightening Ridge, where you can either hike up to James Peak at 9400+ feet, or carve freshies down the north face. The Snowcat Safari offers expeditions into some serious tree skiing in Mary�s Bowl and the Enchanted Forest. Of course there are also 9 lifts (including a poma lift servicing Cobabe Canyon) and several day lodges offering on mountain basics such as burgers, fries and chili. For deep blue cruisers, lots of vertical and more luxurious amenities, Snowbasin Resort offers jaw dropping scenery reminiscent of Switzerland and lots of great back country terrain. Host of the downhill events during the 2002 Winter Olympic Games, Snowbasin offers skiers and boarders serious bragging rights to the two famous Downhill courses, Grizzly and Wildflower. With passenger gondolas and the Olympic Tram, Snowbasin consistently wins polls for the best lifts in the nation. Three ultra-luxe day lodges, two of which sit above 9,000 ft., offer wonderful food, thick carpeting to soothe your aching feet, and truly the nicest on-slope bathrooms in the world. though tiny in comparison to the others, is an affordable option for those just learning, wanting to warm up their legs on arrival days or get in a couple of final hours prior to departure. It�s got a good number of runs, several of which are quite steep and a parent-friendly attitude and altitude. It boasts Utah�s largest night skiing operation, making it popular amongst teens and families. It�s got a lot of local history, having been called Nordic Valley until the 21st century. Spring in Ogden Valley offers the unique choice of participating in multiple passions. Since the Valley often receives deep powder storms well into April, the lifts close in mid to late April. But even on a good ski year, the local drill is: hit the slopes early, ski until about 11 a.m., golf nine holes in the Valley or in the Ogden area, and then hop on the road bike for a spin. It�s an exhilarating time. In early May, as temperatures warm into the 60�s, the ice melts off Pineview Lake and the garage gets switched out. Skis are maintained and stored, and out come the clubs, bikes, canoes and kayaks, and all the footwear to accompany these activities. The mountain bikes stay dormant until later in May or even early June, as environmentally correct locals wait for the miles and miles of trails in the valley to properly dry out. Hiking is the best way to enjoy the trails and get the legs ready for mountain biking. The rivers are running high and the renewed sounds of rushing water provide roaring acoustics for hikers in Wheeler Creek, North Fork and South Fork. By June, the days warm up into the 80�s and some of the best early season thunderstorms kick in, offering much needed moisture for farmers and lawns alike. Suddenly the hills and valley floor are verdant, and the contrast against the still-snowy mountain peaks is brilliant. The weekly Farmers and Artists Market begin in Ogden, which starts Memorial Day weekend, provides Saturday morning opportunities to catch up with neighbors and friends to whom you�ve only uttered a few words on an occasional chairlift encounter, and smiles abound. By mid to late June, Snowbasin Resort and the ski area at Wolf Creek are usually open for lift served mountain biking and hiking. The excitement of the impending summer and all she offers creates the underlying exhilaration that lasts all spring. Many locals will tell you they first came here because of the winter skiing, but stayed for the summers. And for good reason. By late June, the much needed spring rains subside, and azure blue skies become the norm, with only a handful of rainy days all summer. Cool morning and evening temperatures provide plenty of time for serious workouts, while the warmer days invite water sports of all kinds. Pineview Lake, a popular weekend destination, belongs to the locals from Sunday evening until mid-day Friday, and every possible adaptation on the term water sports unfolds. Water skiing, wake boarding, paddle boarding, kite boarding and tubing and are all common pursuits. The morning�s glassy conditions make for ideal trout and Tiger Muskie fishing, and the calm water offers perfection for paddling a canoe or kayak from one end of the lake to the other. The flows slow in the South and North Fork of the Ogden River, providing ideal fly fishing conditions from late June into fall. Almost like clockwork, the winds start blowing each day at about 2 p.m., offering an ideal, four hour window for sailing small boats or hobbies. Wolf Creek Resort, Snowbasin Resort and Nordic Mountain host season long concert series on weekends, and many local restaurants feature live music on their outdoor patios. Summer�s big events include the very traditional July 4th parades, celebrations and fireworks, with Huntsville leading in popularity. Eden and Liberty each host their own small town Independence Day activities and the smell of barbecue fills the night air. Races for runners and bikers are held just about every weekend, with the grand finale of the summer season is the Ogden Valley Balloon Festival in mid-August. This three day festival kicks off at dawn each day, when 20 � 30 hot air balloons fill Eden�s skies. There�s all day entertainment, with arts & crafts and kids games. The ski resorts start selling their season passes and much cooler morning temperatures trigger the onset of fall. Long Indian Summers are very common, lasting well into September, when the Xterra Triathlon offers the final competitive event of the season. Autumn in Ogden Valley brings crisp mornings, azure blue skies and moderate temperatures to enjoy a plethora of recreational opportunities without the hot temps of summer. In early September, the crimson hue of maples is the first burst of color on our hillsides, followed by the brilliant and almost translucent golds and yellows as the aspens turn a bit later in the color season. While it�s the perfect time to enjoy outdoor recreation, a scenic drive won�t disappoint. Fall is the perfect season to enjoy water sports as the water is warm and the crowds slim. Pineview Reservoir is like glass most mornings, and even on weekends the crowds are thin. Causey Reservoir will feel like your own private lake for kayaking and paddle sports, and the water is it�s warmest for a quick dip or for more serious swims for triathletes in training. The South Fork of the Ogden River still runs pretty nicely, but you won�t be angling with much competition. Cycling opportunities abound, whether your preference is Peloton style around Pineview Reservoir, or climbing up amidst the rich palette of colors on mountain bike. There are miles and miles of trails throughout the Ogden Valley so it�s the perfect time of year to get in that final 6 hour hike. Try the waterfall hike up to the peak of Ben Lomond for bragging rights. Just remember to dress in layers as a 20 degree variance in temperatures is quite common this time of year. Several local outfitters offer guided horseback rides, a fun way to immerse yourself directly in the brilliant colors of fall. Super triathletes from around the country descend on the Ogden Valley September 25 � 26 for the Xterra National Championship, with its swim in Pineview, gnarly bike segment up Wheeler Canyon and a mountain trail run up the slopes of Snowbasin. The celebration party is in downtown Ogden on the 26th in conjunction with the Mountain to Metro celebration, so 25th Street is alive and kicking with its usual funky vibe and tons of fun stuff to do all day long. Indian Summers are quite common in the Ogden Valley, and all these outdoor recreation opportunities are perfect training for the onset of ski season, which can begin as early as Halloween if we�re lucky! The best time to enjoy colors at their peak is early September to mid-October. As the nights turn much cooler and the golf course greens awaken with frost, the focus and anticipation shifts to the upcoming ski season.